It can be hard to wake up and pick out an outfit that you know isn’t only going to get you through the day comfortably, but also will make you look and feel amazing. You might be too tired to think about what to wear, have limited options or just can’t think of creative ways to style your stuff. Whenever we have a morning like this, we immediately turn to street style for inspiration. The best place to find it? On Tumblr. Whether it’s the off-duty style of models like Cara Delevingne or photos of style bloggers like during Fashion Week, street style is the best source for outfit inspo. While we aren’t all lucky enough to live in a big city filled with the coolest fashions around, most of us (if not all of us) have internet access. This is where fashion blogs fall into place. Instead of checking out one blogger’s site, you can check out street style tumblr accounts that mix up all the coolest street style looks onto one convenient page. To that end, we’ve rounded up a gallery of some of our favorite street style tumblr accounts for you to get inspired. Click through the gallery above to check out some amazing street style blogs! This street style blog reblogs the coolest street style images—all from the Big Apple. This street style blog—run by a 20-year old named Angelica—is based in Sydney. On top of running her street style tumblr account, Angelica also has a blog. For the ultimate source of street style inspiration, visit From Style, With Love. This blog—run by 18-year old Robbie Heads, a French student—focuses on trends of the moment and ones to come. Aagdolla Photography is a NYC-based street style blog with all original images. This photographer also photographs NYC scenery, NYFW photos and portraits. This photo diary of bloggers and street style images features some of the most well-known street style stars out there to those who are just starting out—a great source of inspiration for any budget. This blog is run by 21-year old Monique and has received a lot of hype. She posts only the best shots from the best photographers for a luxurious, high-end feeling. Adam Katz Sinding is one of the best-known street style photographers around, known for high-end thoughtful shots of interesting people. On top of posting amazing street style shots, this blog also features cool items that you can actually purchase. Ecstasy Models doesn't just post street style—they feature the latest in fashion, trends, food and home decor. You'll get a little bit of everything from this tumblr. Simbarashe Cha is the fashion photographer behind "Lord Ashbury". Their tumblr account shows off some of the amazing work that Simbarashe has done from street style to editorial. Keishikibi—Japanese for “The Beauty of Form”—is a tumblr account started in early 2013 by Myles Kalus. It is a showcase of Australia’s diverse street fashion and street style scene. The best part of this street style tumblr is that it features street style from everywhere around the world—"from the streets of Kuala Lumpur to the alleys of New York City". You'll get to see what each and every culture is wearing right now. This is the tumblr account of blogger, Amy Creyer—who started the blog "Chicago Street Style". my Creyer is a freelance photographer, copywriter, and social media strategist. Her website is consistently ranked among the top street-style blogs worldwide. Burberry, J Brand Jeans, Timberland, and Michael Kors have all retained Amy to shoot street-style photography for digital properties. With over 40k followers, Fk Yeah, Street Style is curated by 2 people named by Dawn and Ru. They post tons of images a day so each time you visit their site, you'll have something new and fresh to look at. This street style-focused blog does wonders with fashion and home decor. The blog has a more neutral/monochromatic look to it. Inspiration Style— a street style, runway, high couture, and inspiration blog—shows off all the latest in fashion. They even have different tabs you can click on to separate by "street style", "runway" and more. "Dressing well is a form of good manners"—a quote by Tom Ford—is one of the first things you see when you visit this account. They'll show you how tons of people around the world are demonstrating "good manners" through street style images. Christopher Fenimore—a Brooklyn, NY based photographer—takes mainly street style images of men. 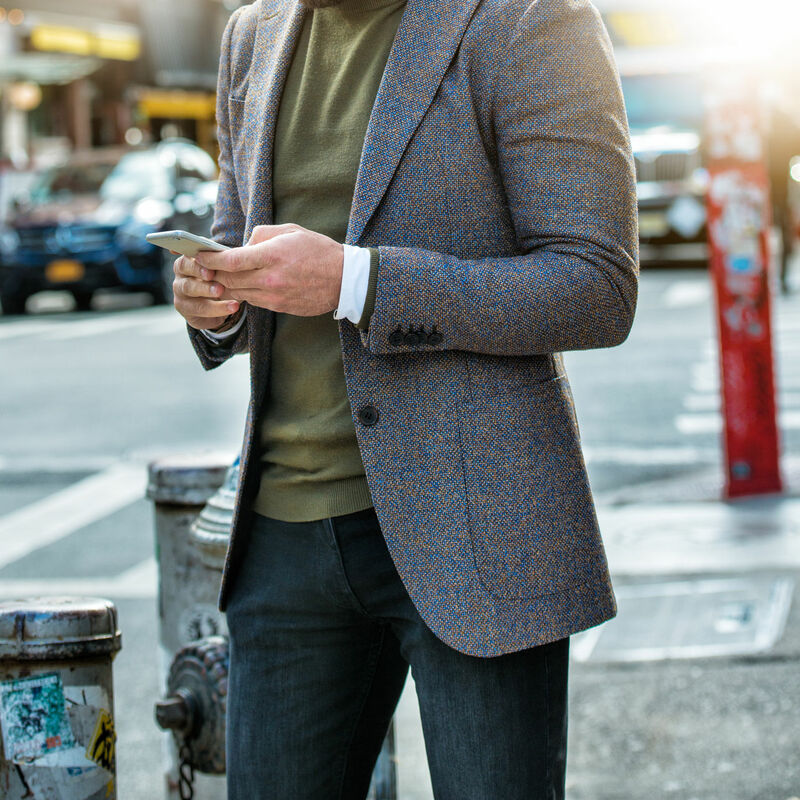 You'll get to see how fashionable the men of NYC are! Lala Paza is actually an online shop—opening in late 2014—and this is their tumblr account. They love to show street style, beauty and tons of model fashion. Started by two Canadian fashion lovers, Julia and Ophelie, Over the Fashion Style is a street style blog that is filled with high-quality shots that we are basically obsessed with. Just the Design is great for those of you who know what item you want to wear, but don't know how to style it. You can narrow your results by clicking the filters on the top of the page so you can get inspiration to style exactly what you want to wear. Coggles is an online boutique founded in 1974 and named after the woman that the founder found her husband cheated on her with (so he'd always have a reminder of his mistake). This is their tumblr account and it's full of cool outfit inspriation. How awesome it is that there's a street style tumblr account dedicated to woman wearing pants. If you hate showing your legs, this is the absolute best source of outfit inspriation for you. Hel Looks is a street style blog from Helsinki—the capital and largest city of Finland. They document individual, unique looks and styles. The blog was started in July 2005 and it's created by Liisa Jokinen and Sampo Karjalainen. The tumblr account of college fashion blog, CollegeFashionista, takes you back to college but with great style. You can see tons of the images from the website's "Style Gurus" (or photographer-writer extraordinaire's from colleges worldwide) and other articles to help get you inspired. While browsing the site, KAD Cafe actually plays nice cafe music in the background. You'll get to hear some great tunes while browsing some of the coolest street style images around. Sol Sol is one of the most popular Seoul Street Fashion blogs. Great photography + great fashion = the ultimate source of inspiration. Oh, and their Instagram account over 12k followers. For a little man candy in your life, check out Male Model Street Style. While, yes, this blog is focused on menswear, maybe you can still find some cool inspiration for yourself (or you can use it to take your guy friends from looking like a high schooler to looking like a man). Tommy Ton—a Canadian photographer known for his fashion blog Jak & Jil, and his street style coverage of fashion weeks on Style.com and GQ.com—shares some of his work through his tumblr account. His favorite subjects are fashion editors, the likes of Carine Roitfeld, and Anna Dello Russo. This blog features tons of street style photography—mostly from fashion weeks worldwide. You'll get to see what models, editors and fashion business professionals sport to all the hottest fashion events. Robinette Kelly started the street style blog "Street Style Chic". She's constantly posting street fashion from bloggers to editors even to reality television stars. 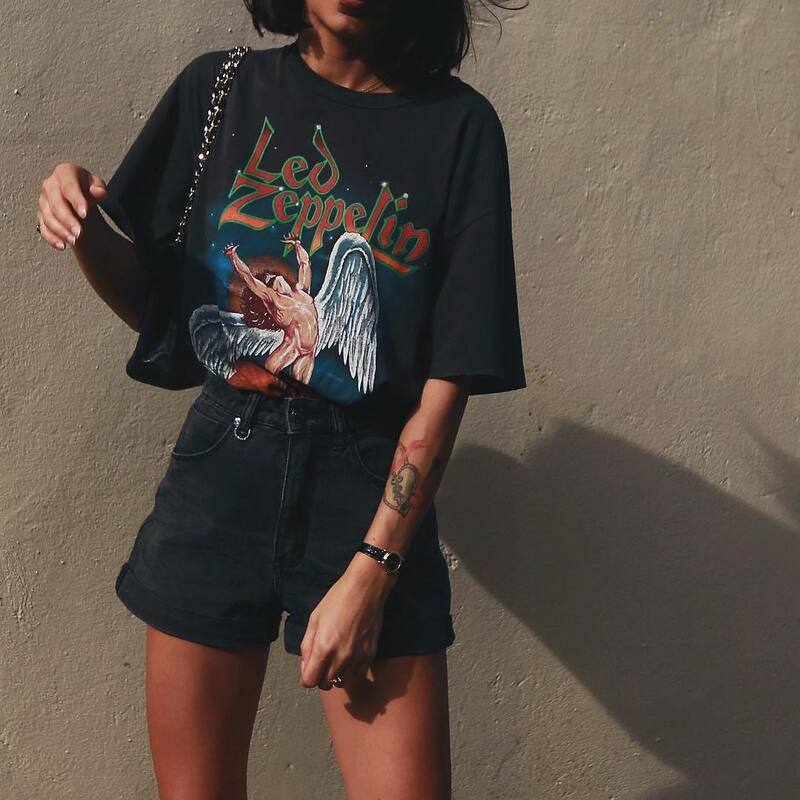 This tumblr blog posts a ton of street style looks that come mostly from Lookbook. Instead of seeing the outfit from one angle, you'll get to see it from multiple angles in order to style correctly. A nineteen year old nursing student from ireland named Kirst started the street style blog, The Original Street Style. She posts lots of model off duty and blogger photos from their sites but also posts fashion Instagram inspiration. Dan Castano, a 31 year old student living in Melbourne Australia, studying Interactive Media and working in Fashion, started the blog. This little lady posts more than just street style—she covers everything from head to toe. Started by a 26-year old Brit, Street Style Market is a men’s fashion moodboard featuring men’s street style looks, beards and various facial hair styles, tattoo art, inspiring street fashion photography, and clothing from the best menswear labels and streetwear brands. Bonnie Huang started the blog "The Vancouverite". She roams around the streets of Vancouver, Canada and photographs all the people dressed to the nines. She also gets infomation on that person so you really get the vibe that you know the people that she's photographing. This tumblr account shares some seriously inspiratonal shots from the coolest bloggers around. You can also click on an image and you'll be taken to the blogger's page to see more of their looks. This blog is seriously awesome. The photographer takes amazing street style photos and also gets an audio interview with the person he photographs. You'll get to learn all about people and their cultures all while finding a cute outfit to wear. Style du Monde is Belgium’s First Street Style Blog. Started in 2008 by Acielle. Acielle's work has been featured in basically every major magazine you can image from Vogue to Harper's Bazaar and plenty more. They also have over 55k Instagram followers. What Do I Wear is "a package of past recollections and future inspirations, tangled together into a collage of images." They take pride in recording trends, street-styles, runway effects and inspirational pin-up boards from one season to the next. Shani, a 21-year old graphic designer from Toronto, is the brain behind The Street Style. 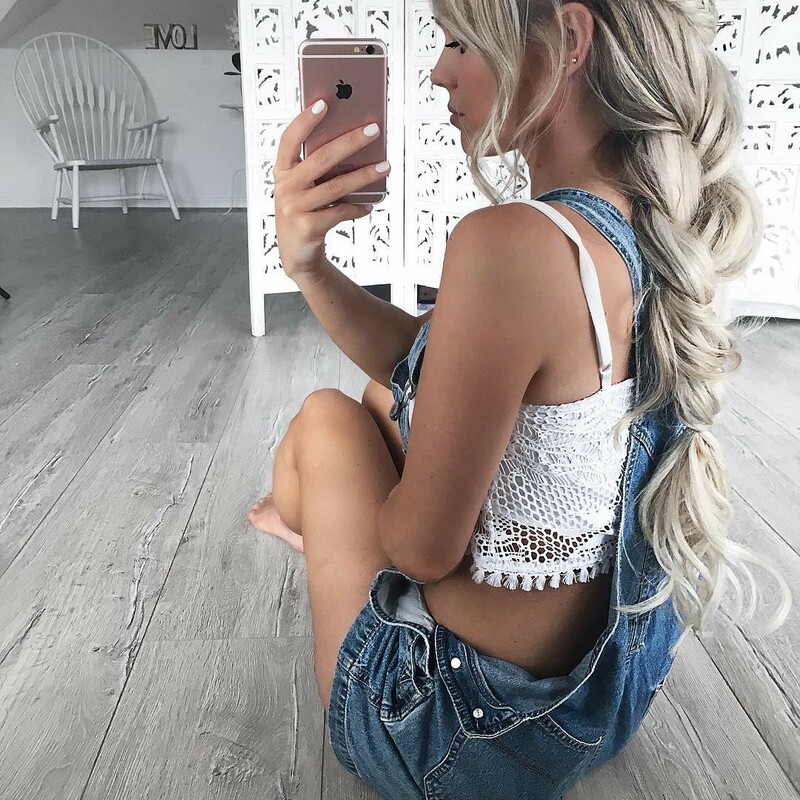 We love her blog so much because all the blogger styles she shows off are clickable meaning you can click the image, you'll be brought to the blogger's post with that outfit then you can purchase the items that you love. Street Style the blog is one of the best sources for street style inspiration. The blog is loaded with inspiration and some personal photos of the blog's owner as well. Either way, you'll get tons of ideas of what to wear just by looking through this account. 20-year old British fashion blogger, Emma George, runs the British street style blog, UK Street Style. Since we aren't all lucky enough to be able to vacation in Europe, we have Emma to show us what UK fashion is like through her amazing tumblr account. This blog was started by Singapore-based student, Rebecca. She started the blog as a curation of street style pictures for her own inspiration. Then, it turned into a platform for her to get some practice with fashion journalism. Rebecca will help you skim through all the great looks from models around the world. Haley, a 21 year old from the Central Coast of California, started the blog "Street Fashion". She keeps up with her tumblr blog and also has her own personal tumblr account called "Oceans of Hope"
The Outsider will show you how to dress, what the coolest trends are currently and exactly how to style them though street style images from all the hottest models and bloggers at the moment. Run by Daisy Chen, Street Styling is a collection of inspiring images. Daisy is inspired by fashion entrepreneurs like Hanneli Mustaparta, Miroslava Duma and Olivia Palermo and you'll see that come through in the photos that she posts onto her blog. How great that a college campus has a platform like this! UC Santa Cruz Street Style is a collective of fashion enthusiasts, designers, and photographers dedicated to celebrating the ultimate fashion experience of the UCSC campus. Bazaar Visual, a street style blog by Marcos Rodriguez Velo, will guide you in the right direction of finding the perfect oufit. You'll get all the details on each look from their name to their location. All of Marco's images are published into K Mag.